You know those souvenir mugs/t-shirts/hats that say, “I went to [insert vacay location] and all I got was this lousy t-mug/t-shirt/hat”? Well, I went to Puerto Rico and besides a horrific tan line, all I got was this lousy amazing leather hat … 20 minutes before my return flight home in the San Juan Airport. Sweetest last minute souvenir of all time. um love the hat, its awesome, but what i really cant stop staring at is your sheer jacket! it’s gorgeous! My eyes were automatically directed towards that hat! I love it! Glad you got it! I lurve the hat! I like the top too! So flowly and pretty! I LOVE those boots! so yeah…i don’t know where to start. 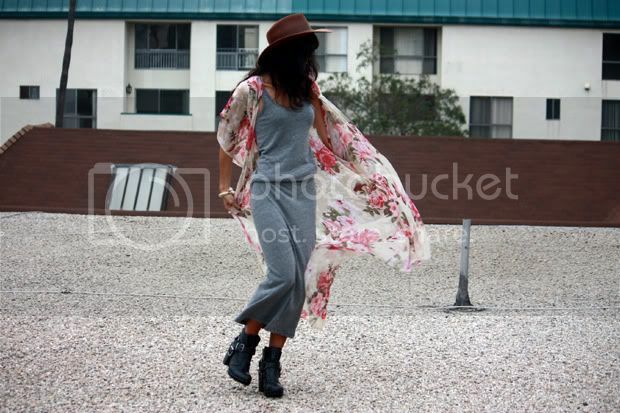 i think i need that dress, i’ve been looking for the perfect casual maxi, and that looks to be it. 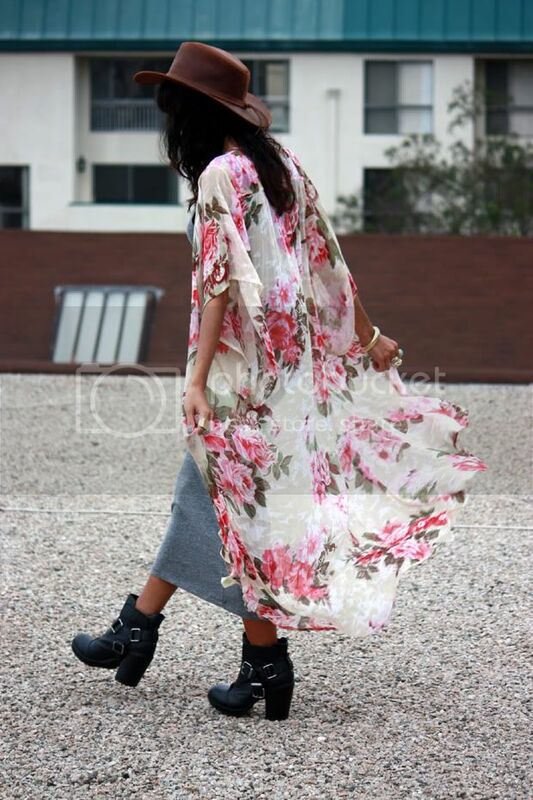 the sheer jacket is stunning and your boots are killer! and of course the hat rocks too loved all your Puerto Rico pics, so jealous! Amazing hat! Love it. So jealous of your trip as well, have never been to PR. Must make it down there post-haste. I love that wrap, the colours and print are fabulous! That hat is just incredible, Becs! And your wrap – swoon! This look is fab as all the bathing suit you re wearing here, great body girl!!! Haha! I’m also like that with souvenirs; I wait until the last moment and then get some at the airport But hey, it is a very nice hat! haha you are just too brilliant. love how you wore that hat. it would be tacky on just about anybody but you, but you- wear it so well. Beeeeeccccssss!! I love that wrap, you are gorgeous and my I also say the the Puerto Rico photos below are AMAZING you are stunning and you looked like you had a blast! !